I have a small collection of pink pyrex. By small, I mean two. But I love them both, and I found them at a thrift store for a KILLER deal. When I saw this one a few weeks ago my heart skipped a beat and I carefully carried it to the register. The man told me it was on sale for $.25. They only accept cash at this little mom and pop spot, and the smallest bill I had was a $5. When I handed it to the man, he told me he didn’t want to bother making change and told me I could just take it. One of the greatest thrifting days ever! I think this looks so pretty full of my breakfast. 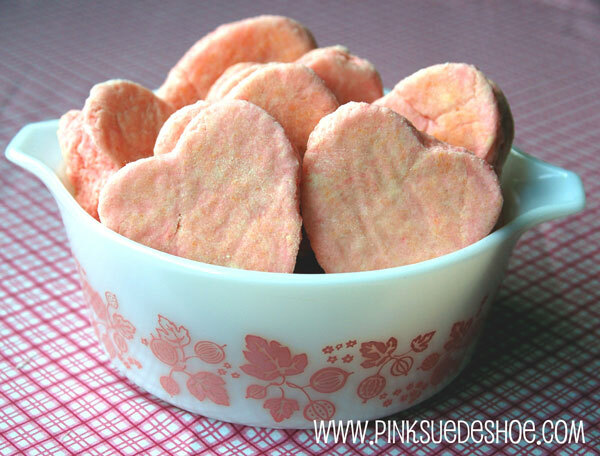 (Recipe for my pink biscuits here.) One day I hope to have a whole shelf of old pyrex dishes in all colors. But until that day comes I’ll just enjoy pictures of them on flickr. And today specifically I’m enjoying these pretty pink ones. Next up is cuppiecakes! One of my cousins, a cupcake chef extraordinaire started calling them cuppiecakes, and now I can’t go back to plain old cupcakes again. LOVE! my mom has some cool orangey/yellow ones which are cool, but i do like the pink! Oh! 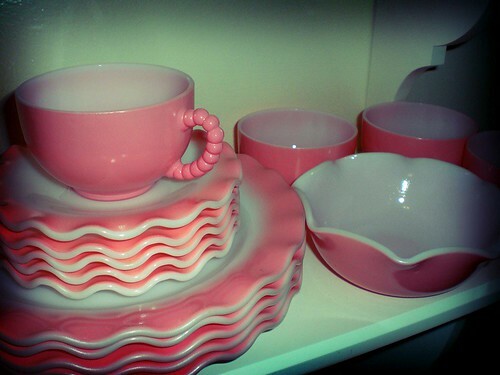 I think that Kaarin’s pink dishes are my favorite pink thing you’ve shown all day! 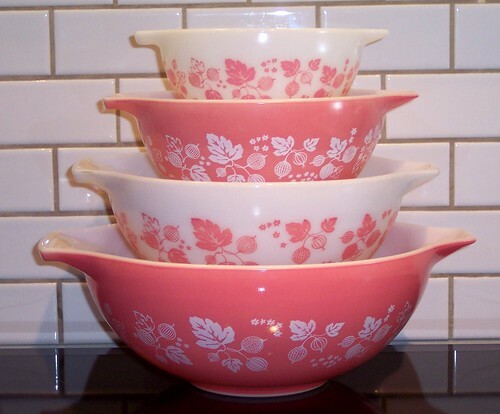 I’m going to have to start thrifting for Pink Pyrex now (lol). That is so awesome that you got your pink Pyrex for free! Happy Pink Day! Love your posts today — I’ve read them all. If you love pyrex and you live near Pembroke, Massachusetts there are two shops that carry it. Both are worth the trip! we call ’em cuppencakes at our house!